No contract. No hassle. No monthly fee. With the UK's lowest rates for calls, texts and data, your top-ups go a lot, lot further. Join today for just £10. We'll send you a SIM loaded with £10 of credit. Complete peace of mind with our 14 day money back guarantee. Our great 1p tariff can be used when using your phone in the following destinations. That's right 1p a minute, 1p a text and 1p a MB when visiting any of the places listed below, whether that is calls back to the UK, within the country you are roaming in or to any of the other destinations listed. You can even use our great value data bundles when roaming. Enjoy your holiday without the worry about coming home to huge bills. 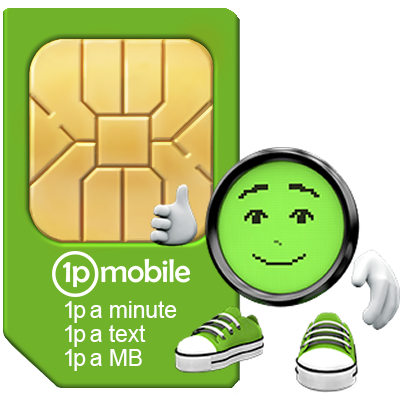 1p a minute to UK landlines and mobiles, 1p a text to UK numbers and 1p a MB (data). Your credit lasts as long as your account is active, with no credit expiry period. There's no contract to sign, no monthly commitment and no notice. It's easy to transfer your existing mobile number to 1pMobile. Try with compete confidence with our 14-day money back guarantee. We offer 99% population and 90% landmass coverage of the UK using the EE 4G/3G/2G network. You have full control over the network features and facilities available 24 hours a day. Our helpful advisors are on hand to provide both online and telephone support. Every call, text and data use, all itemised in your account. Take our amazing 1p tariff with you when you travel to any of 46 European destinations. Calls to international destinations from just 9p per minute, texts 9p each. 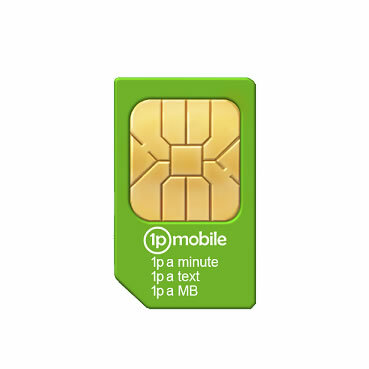 Roam anywhere in the world with your 1pMobile SIM. Charges can be found in our tariffs page. We offer 4G at no extra cost, giving you fast mobile data, as well as 2G and 3G. Purchase one of our five data boosts for even better value when using your phone to surf the internet or using your smartphone apps. Use your mobile phone to give your Wi-Fi enabled laptop and tablet access to the internet when you are out and about. We're ranked #1 in the Mobile Network Provider category on TrustPilot thanks to over 2000 five-star reviews. Refer a friend, family member or work colleague and you'll both receive a reward. 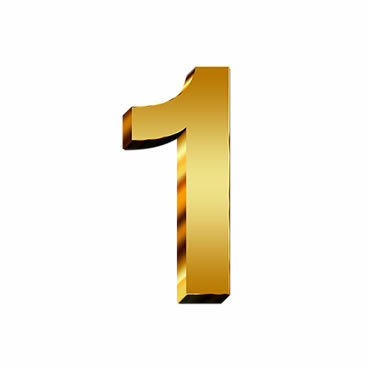 To keep your account and SIM active, just make at least one £10 top-up every 120 days. We have five great value data boosts. Each boost lasts 30 days and can be added at any time. If a boost expires, our standard rate of 1p a MB is amazing value. You can even use your data boost while roaming in the EU.